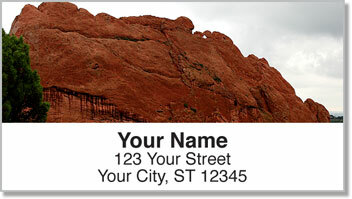 Here's one of the most popular photographic sets from our Scenic Views collection, now available as Colorado Red Rocks Address Labels. If you've ever taken a hike on the rugged trails out west of Denver, you've no doubt seen incredible red rock formations like these. 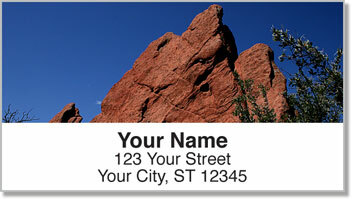 It only makes sense they should be called the "Rocky Mountains"! 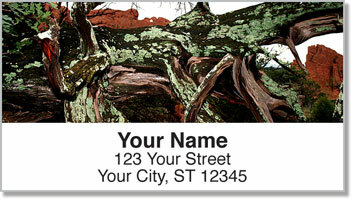 Our handy, self-adhesive personalized labels make quick work of including your return address on envelopes and other mail. But you'll also enjoy using them to identify personal items from your lending library-items like books and video games, for example. 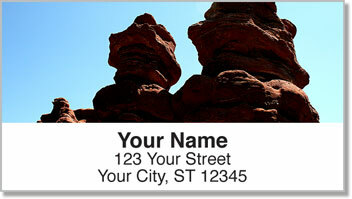 This design is also available as a set of matching Colorado Red Rocks Personal Checks; order both products for your home office today!